With the elimination of the social stigma that used to be accompanied with a divorce, legal separations have become less common. Still, this legal status can be very useful in specific situations or even preferred by a client for a variety of reasons, be it personal, financial or religious. A “legal separation” is when a husband and wife are separated and no longer living as if they are married, but the parties are still legally married and retain the rights of a spouse. While a divorce ends the marriage, a legal separation does not. This prohibits each spouse from remarrying another. This may have important legal consequences such as the ability to keep a spouse on the same health insurance, receipt of retirement benefits and filing of taxes This legal remedy is available to any person living separate and apart from their spouse without fault and may entitle them to support and maintenance while they are living apart from their spouse. 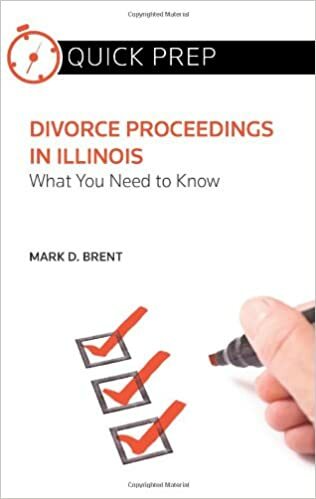 In the context of a legal separation, the term “without fault” means that the person seeking the legal separation (the petitioner) did not cause the separation through conduct leading to the disruption of the marriage, and did not consent to the separation. Also, unlike a divorce which may be filed with the parties still residing together, a legal separation requires both spouses be living separate from each other in different residences. Originally a legal separation was meant only as a mechanism by which the petitioning spouse could seek support for themselves and/or their children. In keeping with this traditional purpose, a court in a legal separation case is only empowered to decide issues of support (both maintenance/alimony and child support) and issues of custody. The court will decide these issues the same way as they would in a divorce. However, in a legal separation, the court lacks inherent authority to decide issues related to property distribution, unless both parties consent to the court making those determinations. If both parties consent to the court making property determinations, the court will make property determinations as to whether property is non-marital/marital and allocate property as it would in a divorce. However, any property or income received after a judgment for legal separation will be considered that party’s non-marital property. Like in a divorce, the parties can enter into an agreement resolving the issues of support, custody and property distribution if desired. A legal separation does not prevent either spouse from initiating divorce proceedings, and likewise does not prevent the parties from resuming their marriage. Still, there are many issues you should also consider if you are thinking about a legal separation. If you are contemplating a legal separation, for whatever reason, you want to choose an attorney who is well versed in this area. We have many years of experience in regard to legal separations, have been published on this topic, and will work with you to attempt to achieve the results you desire.